On April 7th, I participated in a running form clinic, held at the Pacers Arlington. Juda McGannon, who taught the clinic is a representative for Newton shoes. I first met her at the Cherry Blossom 10 miler expo. To my understanding, the Newton brand focuses on running form and the inventor himself, Danny Abshire, hosts clinics weekly, nation wide. Correct proper running form has been a topic that has always interested me. I have never had any technical running training in the past, so I thought the clinic would really benefit me. Who wouldn’t want to learn how to run faster, further, safer? So bright and early, on Saturday morning I headed down to the clinic to learn about proper running form. I started the clinic inside the shop. Juda immediately took off her shoes, and began to demonstrate foot strengthen exercises, explaining that years of wearing protective/corrective running shoes actually make feet weaker. It is important to have strong feet, no matter what shoes you wear. She discussed many facts about the foot. A strong foot should be capable of spreading its toes apart from one another,and should easily be capable of grabbing and picking up items. Then she had me balance on one foot. I closed our eyes. At points I wiggled around a little, loosing balance. When running we are technically always balancing on one foot. One foot is in the air while the other is on the ground. Everyone uses their sense of sight and hearing while balancing, but those senses should not be our dominate senses used while running. We should be using our sense of touch. Unfortunately, conventional running shoes, with all of its cushion, support, and protection makes it hard to use our sense of touch, impossible for us to feel the ground we run on. Juda then explains what our feet do while we are barefoot. When we walk barefoot, we place our heel down first, then forefoot, then toes. When we run barefoot, we place our forefoot down first, then heel. When we sprint barefoot, we place our forefoot down first, but it is so far up the foot, it almost looks like we are on our toes. When we wear our traditional running shoes, there is so much protection, cushion, support, that we can barely move our foot with in the shoe, and it is impossible to use our sense of touch and actually feel the ground. 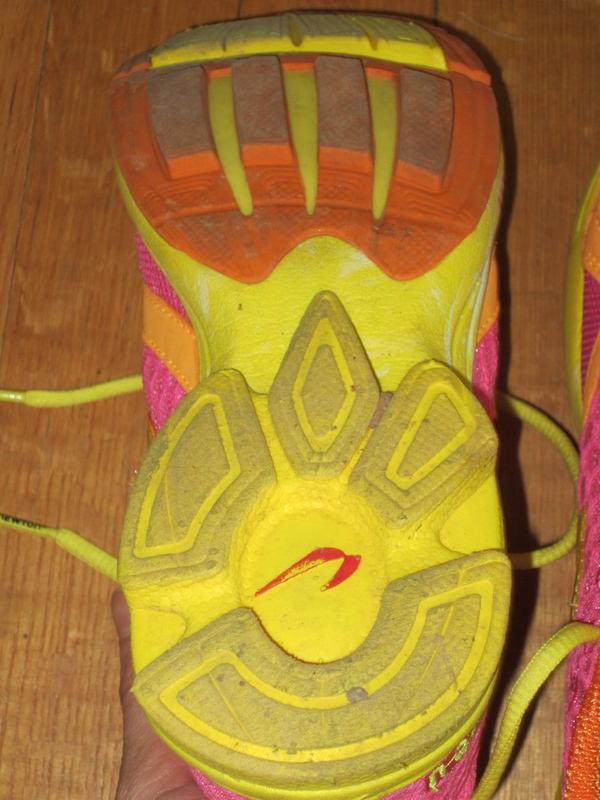 Traditional running shoes, make 80% of runners heel strike. Heel striking causes injuries. Why would you run one way barefoot, and another way with shoes. That is where the Newton shoe comes in handy. 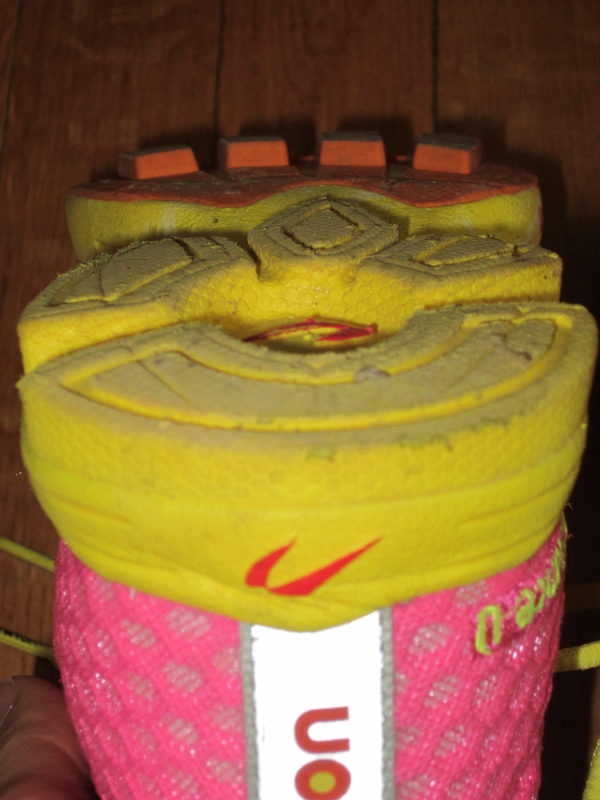 This shoe is going to help correct form, by getting us to run on our forefoot, preventing heel striking. 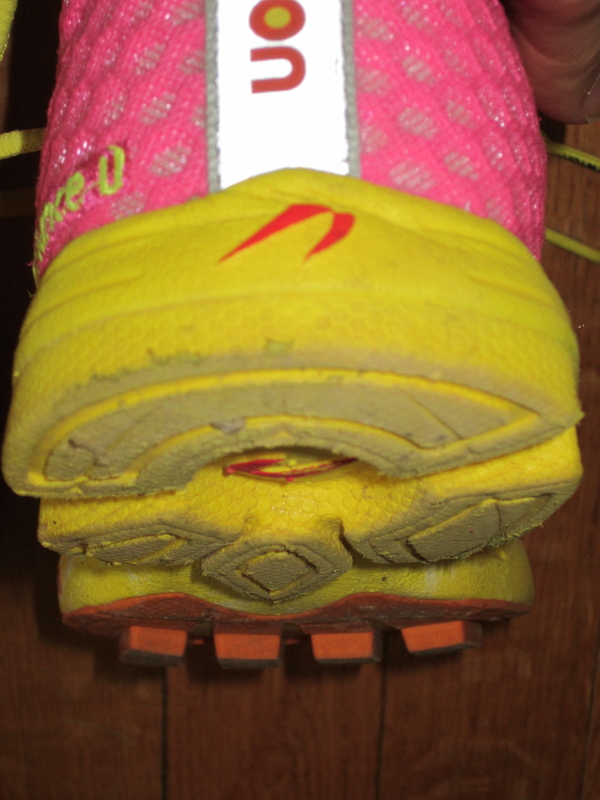 Running too slowly will also cause heel striking. That is why it is important to run with a quick, short stride. 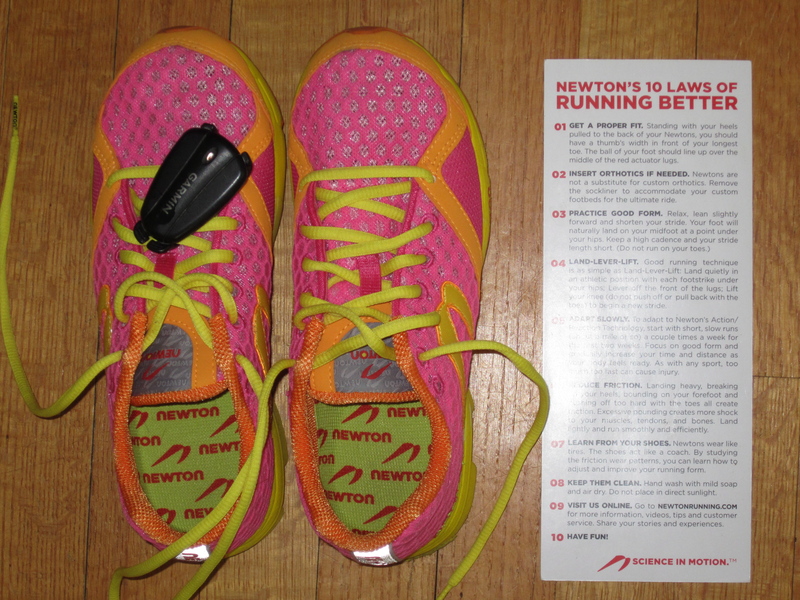 Soon enough, I was getting fitted with the proper Newton shoe, and then heading out to the trail. Juda had the group participate in some running form drills, which included high knees, and skipping. When running you should be light on your feet. The lighter you are on your feet, the less impact you will endure, and the quicker and shorter your stride will become. Juda also taught us to lean forward and breath deep from your belly. I had been debating on trying a minimalist running shoe ever since I had read the book, Born to Run, two years ago. 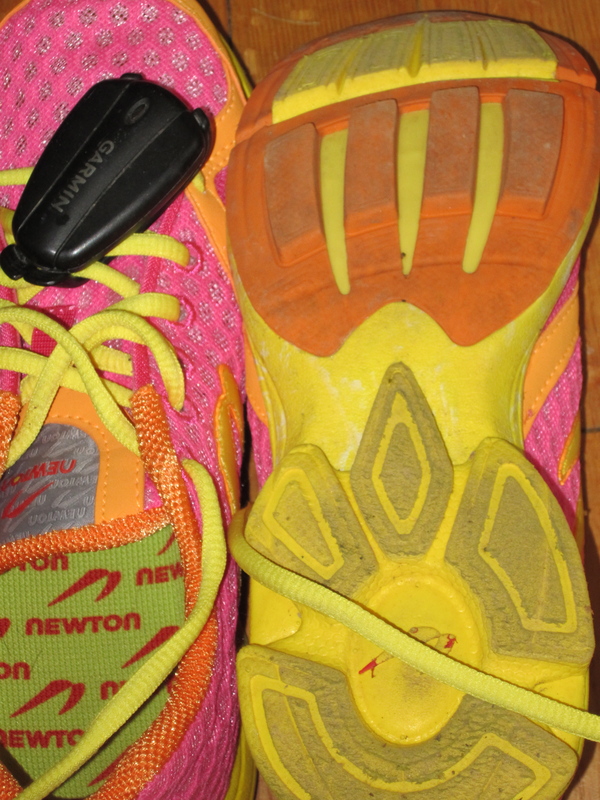 Although, the Newton shoe is not a minimalist shoe, for me it is the perfect shoe to try, because it is light weight, and mimics Natural running, but also has the cushioning to help absorb impact. 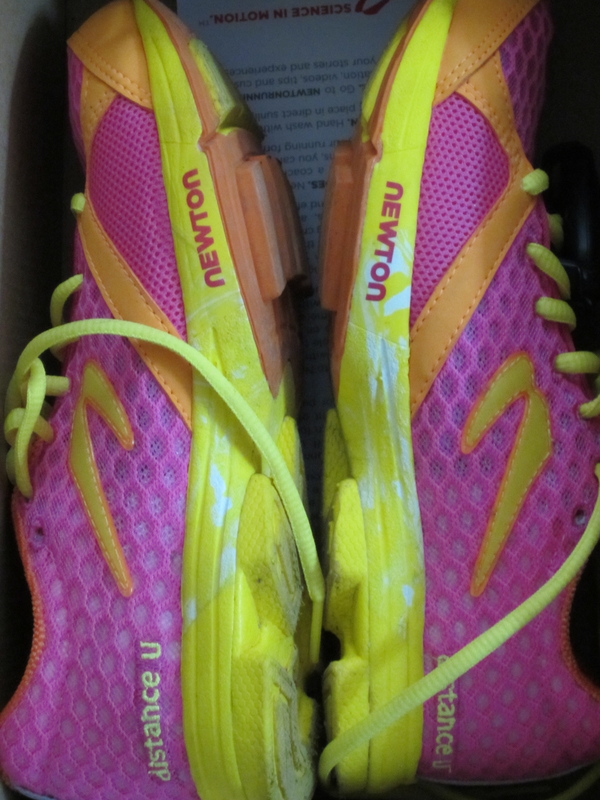 So after the running clinic I happily purchased my first pair of Newtons. The running form clinic, was awesome! I am very glad I participated in it, and highly recommend it for all runners, whether you have the desire to try Newtons or not.